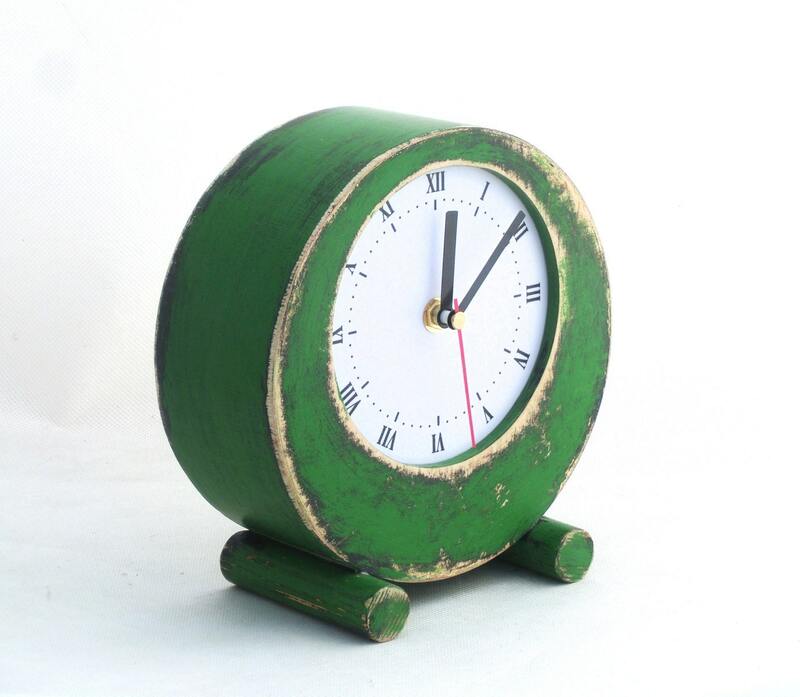 NO TICKING Desk Clock handmade and handpainted with acrylic paints, protected ecological varnish,7 inch height. 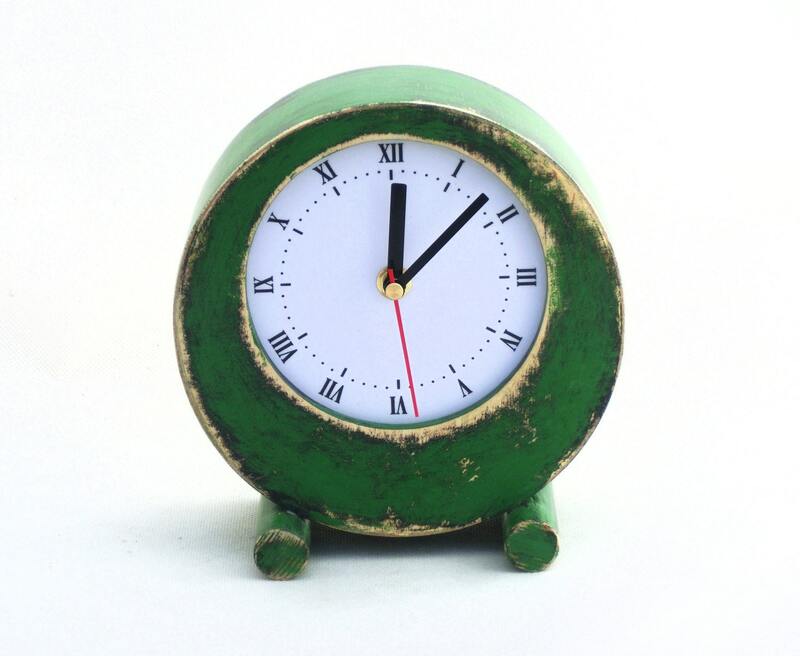 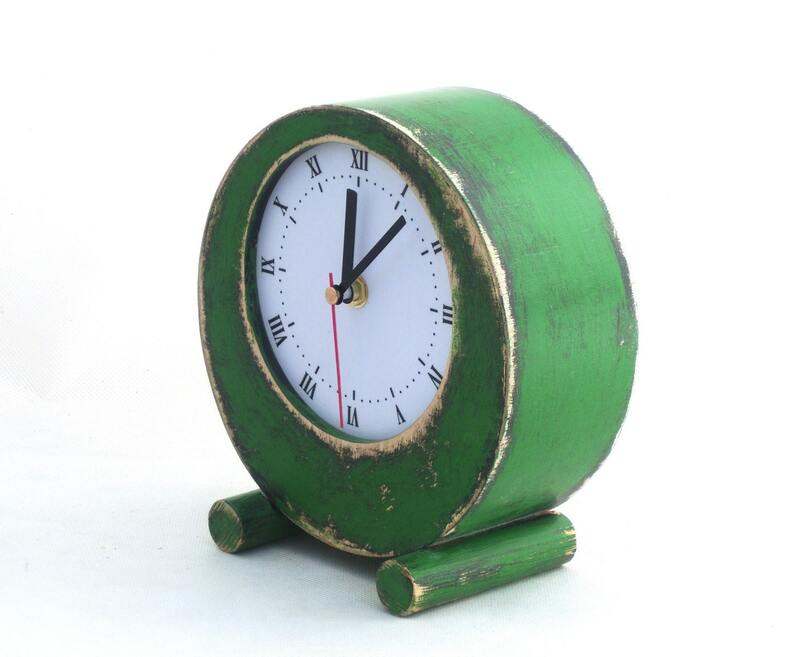 Table Circle Green clock the best gift ideas in vintage style. 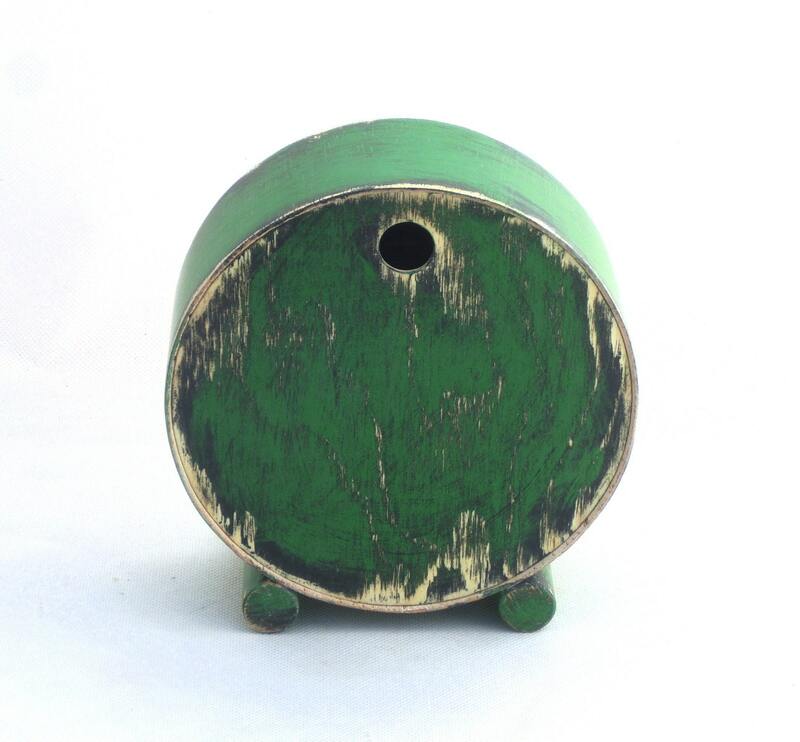 Rustic Home Decor will be unique gift perfect for anyone on any occasion like wedding, birthday or Xmas gift.